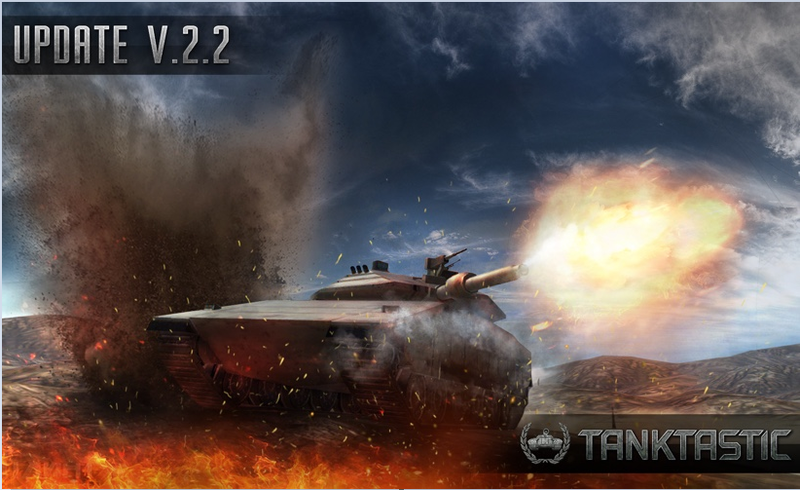 We are pleased to share with you an exciting news... Tanktastic 2.2 is finally here!!! Good luck on the Front! Thank you, Denis.tw; very good job there! The change log will be released soon. It is your own fault when you use a six years old device with only 512 MB RAM and a 1 GHz processor. That is because of your device or your Internet connection, it is not the developers' fault. It is either the oldness of your Device or your Internet connection; as Error has stated above: it is not the Developers' fault that your Device is not compatible with the Update. Amazing update! I take back my comments after playing in Military, hesco bastions are on point. Sorry but in a octacore tab that Jeans 8processors it should work. What is the device's name? Name please lol, i'm eager to hear it. The last 2 updates destroyed TT, especially the last one is worse than the one before, have not seen the moderators no criticism of these updates, just nice words( congrats, very good, thanks), know that to maintain jobs that are temporary but not honor. Again you failed whith update.error, quicly delete, to not see your bosses what i wrote here. Yours friend CATA. It is not the developers' fault that the players use devices that cannot handle the game. The technology constantlye volves; there is nothing to do with this and nothing to do to avoid it. As regards your statements, they are your own words, your own personal opinions, just like with everything else; it is yours by right. But not everyone agrees with you; there is people who enjoys the new version of the game. People will always have different opinions, nothing can change that. And no one forces you to play this game; you do what you want to do.